Fitness content is an ever-growing field, transferrable to any form of media. Currently, you can find countless fitness focused magazines, YouTube channels, Instagram pages, as well as celebrity fitness DVD’s and TV shows. One more we can add to this list is OnlyFans. 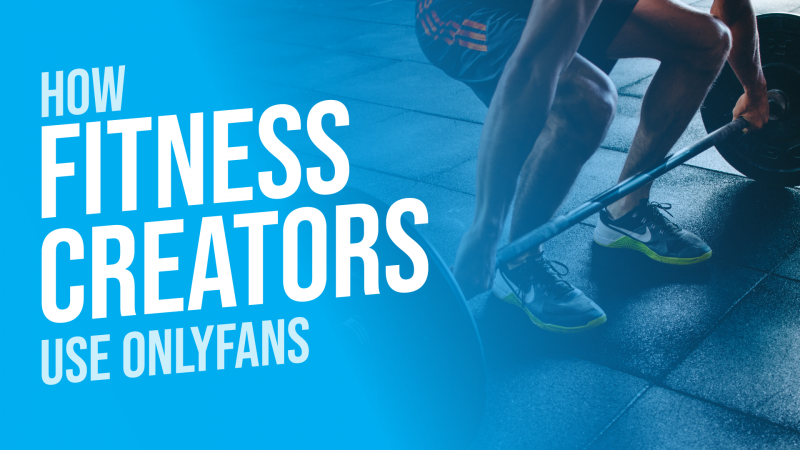 A lucrative and popular field, that creators like Melissa Carver, Jane Kim Fitness and Arban Dili have been focusing their OnlyFans content around. Although a set category, this does not mean all content will be the same. The content that can be produced is without limits. One creator may post workout routines, another diet plans etc. A content area that has had undeniable success over recent years, and only seems to be becoming more popular. In many ways, fitness is a simple way to create a following and a fanbase. All fans will have areas in which they are more interested in seeing. For the most part, the initial image of a fitness influencer would be a bodybuilder, or physique model, but there is so much more to this field than this. In a similar way to something like music, anything in fitness will gain viewers purely by making it interesting or entertaining. It is all about finding your following and doing what you would enjoy watching/ following. Users previously mentioned have been using OnlyFans to show off their content and have been excelling in regard to this. Since signing up to the site, Janekimfitness has been showcasing her personal fitness journey and workout routines. She produces a range of content, but mostly focuses around educating her fans, and giving her viewers an insight into her daily workout regime. Much of the content posted on her OnlyFans page, is similar to what she is producing for her Instagram followers. This has allowed a natural transfer, for her followers from her Instagram to OnlyFans profile. The way in which Janekimfitness uses her OnlyFans allows her to, in a way, be an online personal trainer for her fans. This is through both posting her workout routine, and including number of reps, and the name of the exercises being done. As this is the case, Jane Kim is in a way creating her own business on the site, similarly to how Joe Wicks uses his personal website to sell diet and workout plans. She has been able to find her market through consistently posting what she has knowledge on. As well as this, it is clear to her fans that she enjoys what she is posting. Something that goes along way on creating a genuine link between you and your fans. Both Melissa Carver and Arban Dili too utilise the features on OnlyFans to post fitness-based content to their fans. Although all three users mentioned have been posting fitness content, all have their own twist on the content they are posting. Jane Kim primarily posting training content, Arban Dili exclusively posting gym and physique images, and finally Melissa Carver creating her own blend of the two. Arban has had astronomical success on OnlyFans since setting up his page in September 2018. He has been able to transfer his following from Instagram to his OnlyFans page, keeping the content posted similar on both platforms. Sticking, relatively, exclusively to physique photos to show progression and his current physical condition. Consistently posting content that his fans will be interested in seeing, Arban has been able to keep a constant following on his OnlyFans profile. Similarly, Melissa Carver has been able to utilise the site in a similar way. She too posts predominantly physique and gym pictures. As well as this, Melissa will upload a short workout routine, along the same lines of the content posted by Janekimfitness, but with less of the PT feel to it. The workout videos posted by Melissa are more personal, and more showcase her own ability and workout rather than acting as short PT sessions. All users mentioned use OnlyFans to post and show their personal fitness journeys and current physical condition. However, all put their own twist on this to be able to best create and increase their following. Fitness based content is a growing field on OnlyFans, with users utilising the updated features to create the best content for their subscribers. Recent updates, like the introduction of the new live stream feature will allow users to interact first hand with their followers, for example partaking in Q and A’s to give advice to users with specific questions. A creator could even use this feature to live stream a portion of a workout routine to present a more personal account for harder exercises etc. As mentioned above, depending on how the site is used, it can become a business for influencers depending on how they choose to post. For example, there is the possibility for users to post diet and workout plans for their followers to use, which will take influence from websites that offer online consultancy or training. The site can be much more for users than just a place to post pictures/ videos, it can be a way to genuinely educate and help your followers. Using the site, the way in which you wish and posting the content that you have full understanding of, will be the quickest way to grow your fitness page. You can see when viewing the creators mentioned above, they enjoy what they do. They are posting content regularly and are sticking to a certain theme that is too present on their Instagram pages. This shows they have been able to find their following and have found content they enjoy producing and brings them success. Fitness is an area that has a huge amount of interest from fans and brands alike. A lucrative field, with unlimited potential for creators. As shown with the users above, showing enjoyment, and posting what you know about will gain fans. Whether you are looking to showcase personal progression, or you are trying to help others make a change, people will subscribe and will take an interest in you and the content that you’re posting.